Lincourt Pharmacy has been a part of the Pinellas County community since 1969. Our main goal has always been, and will continue to be a concerned, professional pharmacy service. 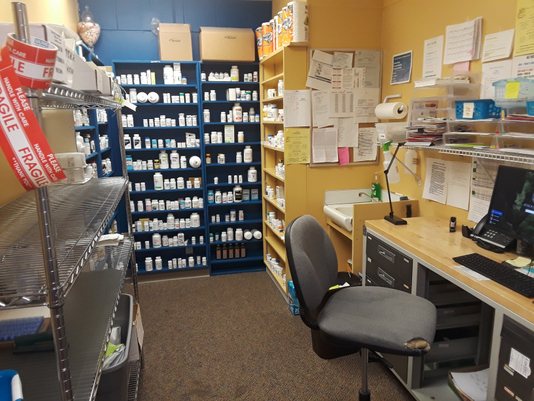 At our neighborhood pharmacy, you can depend on personal attention plus fast, friendly service at reasonable rates. Lincourt Pharmacy is the pharmacy of choice for value added services. We take pride in offering you the best medical care possible. Our relationship with our customers means a lot to us. We like to learn about our customers needs so we can more effectively tailor your healthcare to your lifestyle. Our vision is to build long-term relationships by delivering a new community pharmacy experience. Thank you for choosing Lincourt Pharmacy as your pharmacy. Bismark is a new pharmacist. He is married with 2 kids and very knowledgeable. He is certified for immunizations, plus he is considerate, friendly and committed. Latasha is efficient, knowledgeable and very family focused. She loves eating out and has been with Lincourt for over 5 years. Louie possesses extensive pharmacy experience with Assisted Living Facilities and Compounding. He has a strong social conscience for community support. Susan produces our monthly newsletter. She is an advocate in the Small Assisted Living Coalition and Falls Prevention Group. Susan is also a licensed Guardian and a strong believer in aging in place. Tracey is the newest Lincourt addition. She is dedicated, caring, and loves her family and animals, especially dogs. Tracey is manager of A/R and A/P and administrative and accounting functions at Lincourt.